The deranged and violent militant group Boko Haram is steadily approaching, and the last surviving members of the Fulani tribe, an ancient matriarchal nomadic society, have found refuge in the abandoned caves of the Saon people. Accessible only by sonic vibrations, the sophisticated cave system contains messages from the past in a series of astrolabes, powerful amulets whose destructive force is harnessed by the Fulani tribeswomen. The astrolabes, it turns out, hold the secret to the Saon people’s extinction, and clues about a different flare that rocked Earth thousands of years ago. When a mysterious creature breaks into Brackett’s quarters, the engineer is not sure whether it was a rival space program or the government as they race to complete the Naijapoolan anti-gravity simulation to train the Naijanuats. In over his head, Bracket is distracted only by his favorite reality show Mrs. N Fires the Help and his affair with scientist and music enthusiast, Seeta. Increasingly, however, Nigeria's past and present are threatening to collide in a battle over its own future, and Bracket and Seeta seem to be the only ones who suspect it is all connected. Enter Wale Olufunmi, the original protagonist of Nigerians in Space. A former lunar geologist who continues to dream of participating directly in a space mission, Wale lands at the Nigerian Space Program facility, on a private jet. When Brackett, Wale, and Seeta discover the Fulani women’s hideout, and the power of the astrolabes, they band together to outmaneuver Boko Haram, save Nigeria from a sinister government conspiracy, and finally launch a spacecraft. Deji Bryce Olukotun is the author of Nigerians in Space. His work has been featured in Vice, Slate, The New York Times, The Los Angeles Times, The Los Angeles Review of Books, the Wall Street Journal, National Public Radio, The Atlantic, Guernica, The Millions, World Literature Today, ESPN, and elsewhere. 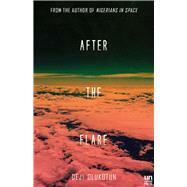 After the Flare is the second novel in the Nigerians in Space series.